Part two of traveling alone and loving it, here is an account of living it up in Bali, travelling solo, and liberating experiences! Getting to Bali was just one part of the plan and experience, the next phase of reality smacked me in the face when I had to head down to breakfast the first day. Here is the difference between travelling alone on work and travelling alone on holiday – when you’re on work, there is a purpose, you’re being paid to do that and you’re dressed for it, there is this sort of ‘official-ness’ around it that is a safe armor sometimes. On holiday, that little buffer goes away and you are there representing yourself because you want to be there and that is pretty much it – just you, there by yourself. Sitting on the bed, procrastinating, I was not quite ready to interact with total strangers and explain what I was doing there by myself. I had not thought through this part of the plan, rather it had not been visualized quite so clearly as it was playing out in front of me at that moment. Sitting on the bed, procrastinating, I was not quite ready to interact with total strangers and explain what I was doing there by myself. Should there have been a more elaborate plan and back story of my life before getting into this? We were on a schedule and had to head out early for diving, which meant time for procrastination was over and the walk to the breakfast table had to be made or skipped entirely. I pulled myself together and strutted out to the breakfast area, spotted an empty table and plonked my bag, at all points taking great care to avoid eye contact as far as possible. When I did dare to look around it was rather anti climatic – no one was really bothered where I sat or if anyone else was going to join me, they just wanted breakfast and to get on with their holiday. It’s funny the things your mind does to you sometimes – I’d spent the better part of my morning coffee time conjuring up scenarios where apparently everyone was interested in my life. That was another ‘note to self’ moment. With diving done early most of the day was still open and available. Before reaching Bali I had really only planned for getting there and diving, nothing else, because for one – I thought the town would be a little more than the one road, so time could be spent exploring; it but that was done the first afternoon. And second, I thought hanging around the beach with a book and music would be enough, not realizing it’s a port town so there are loads of boats anchored all along the small stretch of beach,and it’s not really a lay-back-relax kind of atmosphere. Some quick improvising had to be done, here it needs to be added that I am a planning freak so when something is not on the plan and has to come on it, there is a lot of internal turmoil I go through. There was also the sense of comfort the brain wanted to lull me into – why bother, you’re already in Bali there is a beach right here, and do you have to try to wander out in a country you have no idea about ? – Ha! I was not going to let my brain or the lack of a plan get in my way. With that determination I headed to the resort front desk. The nice lady handed me some brochures, gave a few tips, and off I went to the room for further research online. Using Tripadvisor reviews of a place and Wikitravel for some factual inputs is helpful for me, it cross verifies what has been recommended and the qualitative comments are always helpful to know if the options you’re looking at provide what you want. Before deciding to visit the neighboring areas, the decision on renting a bike or not had to be taken. It’s a fun way to enjoy a place and I’d done it before in other countries, but the questions when you are by yourself are always in a different light – is it safe with the traffic, what if I get knocked over, what if I get lost, what if I get followed. There is no end to the list and I was not in the mood to be consumed by it. The decision to use a bike gave me a sense of freedom and flexibility and I’d to be safe about it. While it would not have needed so much deliberation if I were with someone, taking that decision when travelling alone was a hard one because of the enormity of responsibility it carried. As the saying goes – nothing ventured, nothing gained! Deciding where to go was the other part of it, given I’d have about 6-7 hours on hand, I wanted to try and visit some places and not only hang out at a beach. The two places identified were Tenganan and a beach (Pantai Pasir Putih) just ahead of Candidasa, these were the same direction and getting to it would take me about 30 mins. This worked from a time perspective and the route online seemed fairly clear, so I jotted down the directions, names of towns that would fall enroute, packed a bottle of water and some fruits, let the folks at the hotel know where I was headed and hopped onto the trusty bike. It should be noted that I was a lot more confident when making the plan online, once on the road things just seemed a lot more intimidating – it’s you against the elements so to say. Not that this was a North Pole expedition but the sense of leaving what is comfortable and heading to what is unknown does kick in a moment of panic. It took a while to settle into the sense of discomfort, but deciding to embrace it instead of fighting it made the ride easier and soon I was joyously cruising along the highway in Bali. 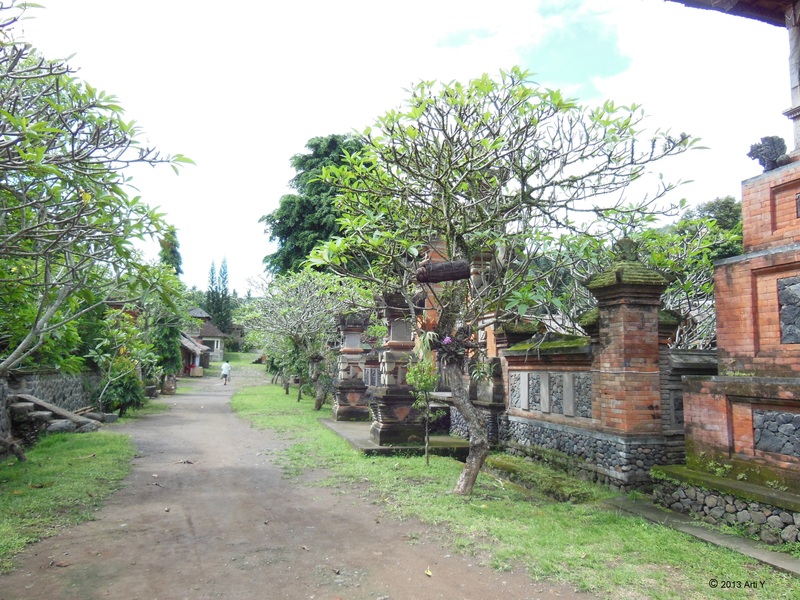 The first stop, Tenganan is a beautiful old village, which is supposed to be one of the only places you will find original Balinese descendants staying. It is a popular tourist destination and was easy to find despite it being quite away from the main road. Upon reaching there, I bought the entry ticket and a local guide was assigned to me, from their expressions and quick exchanges I knew they were quite amused by my solo exploration, though at no point did I feel threatened or intimidated – it was all in good spirits. A strange thought struck me – people want to look out for you most of the time, contrary to the idea of the big bad world that we are brought up in. However, I am my mother’s daughter and distrust runs deep in my soul; this is not meant in a bad way but more in a way of self-preservation. So before heading on blindly with the guide I ran over to my bike took a picture of it, some shots of the surrounding area, made a quick call to the husband and asked the ticket counter man to keep an eye out for my bike. This did amuse him a little more but he nodded politely and encouragingly. A strange thought struck me – people want to look out for you most of the time, contrary to the idea of the big bad world that we are brought up in. 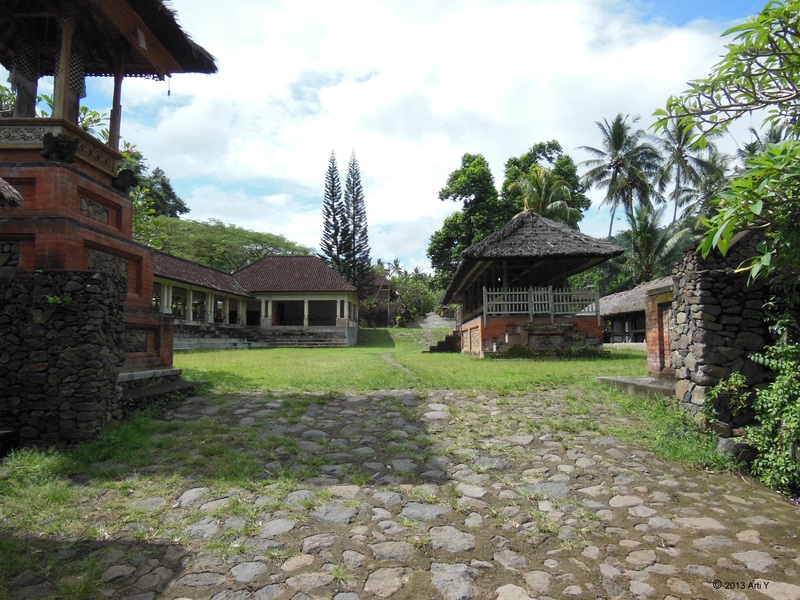 The village was lovely and seeing the commonality between Balinese and Hindu culture gave a sense of familiarity and comfort. 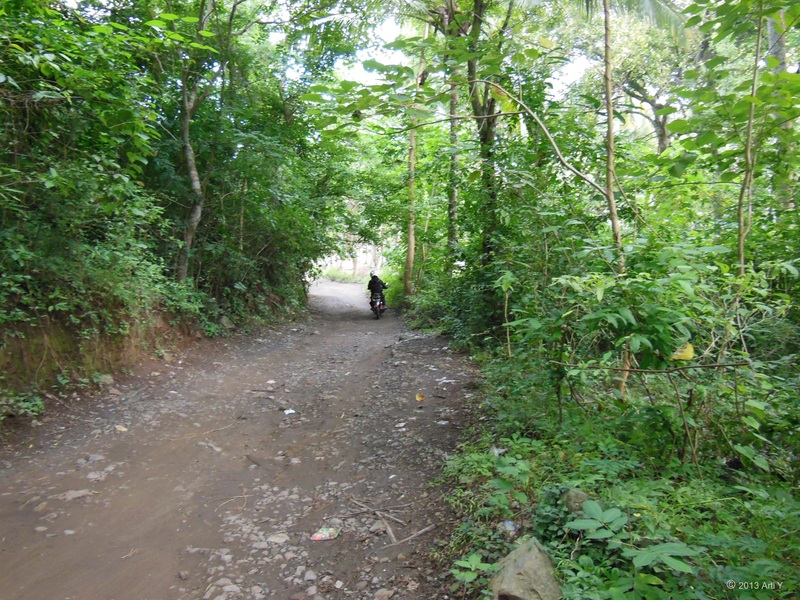 I thanked my guide, headed back to the bike, which was still there and rode onward to the town of Candidasa. Reaching the beach was a little more of an expedition than I expected, because the town itself does not have a great beach. Pantai Pasir Putih, which is about 3-4 kms ahead is the place people go. I just assumed it would be accessible. Once off the main road headed towards the beach, the roads got worse and people got scarce. While one could take this as a warning sign I was not yet prepared to turn back, it was just 2 kms ahead and there were villages along the way if help was needed, so I chose to plod on. In hindsight, things could have gone sideways, but I knew this was a regular approach and people were going to the beach and I’d paid for the bike and gas and I’d be damned if I’d not go the last stretch. Could also be famous last words, but I got lucky – the road opened up into a coconut grove and just beyond was the promised white beach and blue water. Though this is supposed to be a secluded beach, there were still a fair amount of shacks and people around, not enough to be overbearing; just enough to provide comfort in the fact that you’re not the only idiot who rode a bike down a bad mud road to get there. The beach was gorgeous; there were enough empty chairs around and I found myself a good spot and settled in. Being a sucker for a good foot massage, when the lady from the shack nearby asked if I wanted one it felt like a godsend. She got chatting – asking where I am from, who have I come with, how I like the place etc. These are harmless questions, but when travelling solo you want to think about how much you’d like to reveal. 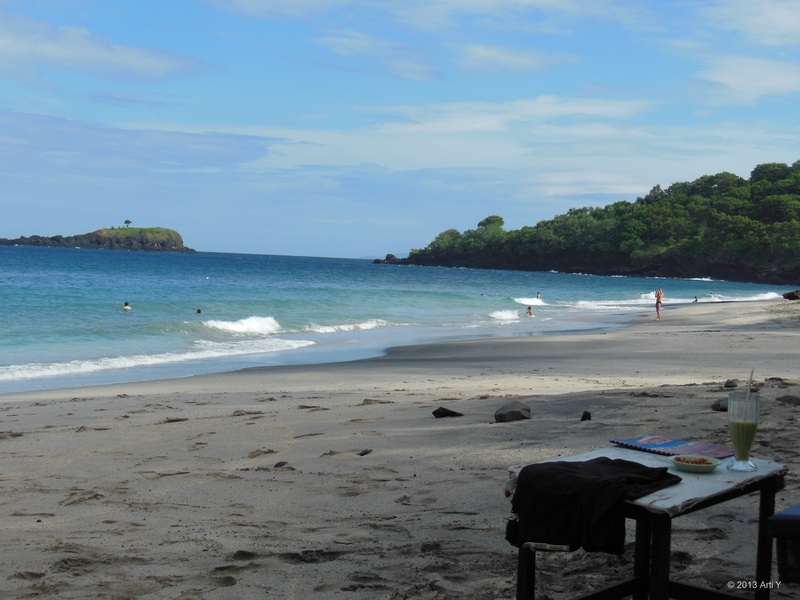 I told her I was at the beach by myself, but was staying with friends in Candidasa. She was a sweet lady and probably would not make any more of it if she knew the truth, but that was the decision I took and it made me feel a little more comfortable to think of imaginary friends who’d be waiting if I’d not get back in time. After spending enough time soaking up the wonderful surroundings, I picked up my belongings to head back, a little bolder and happier. There was this sense of triumph, of overcoming inertia and fear to some extent, to get there. Travelling solo once in a while is liberating for the soul, it heightens the singularity of who you are and what you are capable of. I thoroughly enjoyed the honest solo travelling experience. I wished so many times of doing so but chicken out. keep posting, one day I will be travelling. Hi Mamta – Thanks so much for your feedback am really glad you like the article and found it a little inspiring. Everyone is chicken in some way or the other until an opportunity presents itself – be ready to say yes when it does 🙂 Hope you get one soon and are able to share your experience back. Loved reading about your solo traveling experiences in Bali. Pictured every moment of the apprehensions and dilemma you so vividly described, Arti. Hiring of the bikes took me back to October 2012!! Its great you included your pics, added to the visual feel of the place. Hope I have your guts and gumption to venture out some day soon to one of these beautiful places. Looking forward to reading more of your travel experiences. Write soon. Hey Shels – you have more guts and gumption than most people I know, am so glad to have someone like you to be inspired by. The Oct 2012 trip deserves a piece too 🙂 maybe will do something on that. 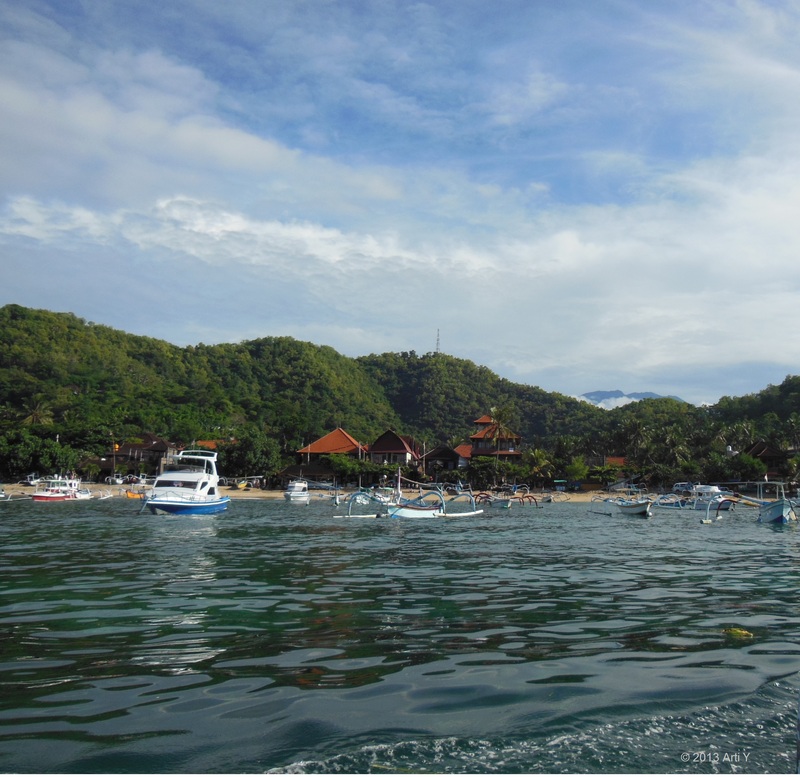 Hey Arti, Nice write up, I just shared my solo trip experience of Bali too on this website. I know hat it takes to travel solo and most difficult is the initial days while all to an fro decision making goes on planning and booking…. any more travel plans ahead… we can team up ! !